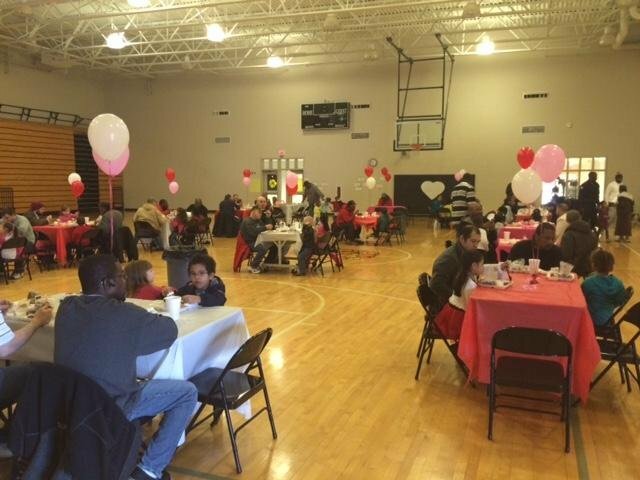 MLK dads joined their students on Thursday, February 12th for lunch! MLK was teaming with happy dinner guests throughout the day. The festive decorations and delicious food made for an enjoyable gathering. Students smiles were contagious! Thanks to all who took time to join us! Special thanks to our MLK cafteria workers for preparing such wonderful meals for such a large group!